FOR HIT BROADWAY SHOW ON TOUR! DETROIT, MI, January 28. 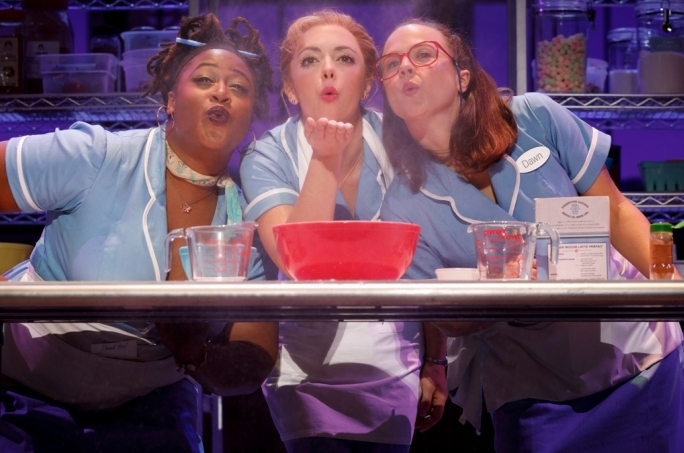 2019 – WAITRESS, the Tony nominated musical will be premiering at Detroit’s Fisher Theatre, May 7-19, 2019 for a limited engagement and is looking for two young girls to perform the role of “Lulu” for the duration of the engagement. The “Search for Lulu” will take place in Detroit on Tuesday, February 5 from 12 – 3:30 PM at the Fisher Theatre, located at 3011 W. Grand Blvd. The audition will consist of the child reading two lines from the show. If possible, parents should bring a current head shot and resume for each child. Headshot, resume and prior acting experience is not required. Parents or legal guardians must register their child for a time slot in advance of the auditions using Sign Up Genius at this link: https://www.signupgenius.com/go/luluauditionsdetroit. A limited number of time slots are available, and auditions strictly limited to the first 36 people who sign-up. No walk-ups will be allowed on the day of the auditions. The character of “Lulu” will be cast locally in each tour market and two girls are chosen to share the role. Each girl chosen will perform in 4 performances each week during the two-week engagement.